The only thing that is constant is change. This old adage has never been truer than it is today. Businesses must manage their systems within ever growing and changing complexities. 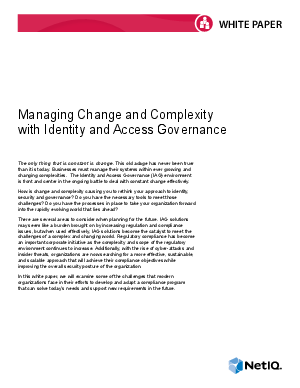 The Identity and Access Governance environment is front and center in the ongoing battle to deal with constant change effectively.